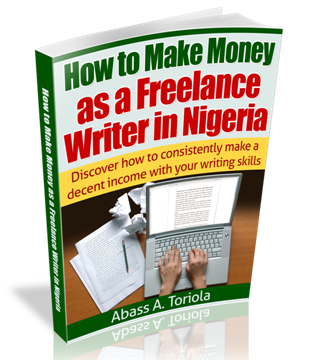 I started this blog in April 2013 with the aim of teaching fellow Nigerians how to make money online and convincing doubting minds that making money online in Nigeria is indeed real and realistic. Now I feel fulfilled each time look at the little I’ve been able to achieve so far for myself and for others. If making consistent income full-time with little or no effort is what it means to be a successful netpreneur, then I’m certainly one. And if helping others to achieve success in blogging is what it means to be a successful blogger, again, I’m proud to say I’m one. Now, at the risk of sounding boastful (I have every reason to, anyway), I want to show you some of the money-making blogs that were either started or remodeled in line with the helpful strategies I teach on this blog. And just so you know, all these blogs are owned by people who have learned from this blog as well as some of my information products. And they’re raking decent monthly income for their owners. I know this because I keep in constant touch with the owners, and I’m very much aware of their successes. 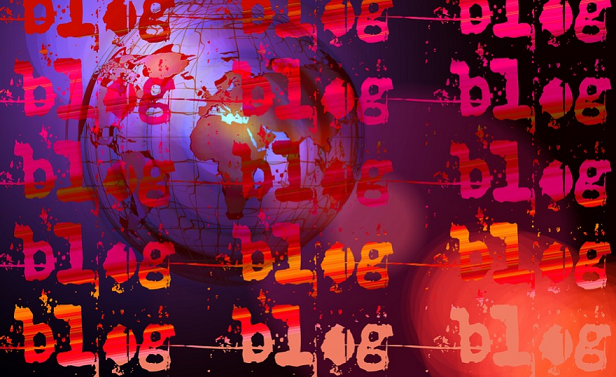 Now, here are the blogs. I already wrote about this blog in one of my earlier posts. It’s a blog on natural health and alternative remedies created by Mr. Ife Oluwatuyi in 2013. After months of crafting long, detailed, and well-optimized posts at intervals, Ife started making money from the site via Markethealth affiliate program at first, and later contextual ads served by MonetizeMore with popup ads served by Popcash. In 2015, Ife got a juicy offer for the site and he sold it for a staggering $3,300. At the time, the site was attracting about 3000 visits per day and earning around $250 every month, yet it had just 13 posts. The buyer has since retained Ife as the blog’s content strategist, and the income is still flowing in — big time! Whether Ife still owns the site or not, the truth remains that it was created in line with the valuable information I’ve been sharing on this blog. This is another blog on natural health and alternative remedies created by Ife Oluwatuyi after he let go of NaturalHealthBag.com. His aim from the outset was to repeat the same strategies he used to grow his first blog. He worked towards this aim since he started the blog last year. And now, the site is earning at least $200 per month, this time from contextual and popup ads. In a recent conversation with Ife, he told me he’s trying to sell off the site, and the same buyer who bought NaturalHealthBag.com has shown interest by even offering a higher figure. So, another few thousand dollars will land in Ife’s pocket soon. I’m jealous! So, I can categorically state that Ife is a blogger who knows his onions, understands how SEO works and how to implement it — just as he learned from WebIncomePlus.com. His double success with this same strategy shows that online business isn’t based on luck. This blog was started in December 2015 by Mrs. Ruth Zubairu, a young and vibrant housewife who decided to venture into online business as a way of making money from the comfort of her home. The blog focuses on topics related to women and motherhood, and it caters to a global audience. I first knew Ruth when she contacted me sometimes in 2015 to buy a copy of my e-book on freelance writing. She implemented the strategies I revealed in it, and she now earns a decent monthly income as a freelance writer. She even went a step further by offering blog setup services. Aside helping her attract freelance writing and blog setup clients, her blog also fetches her some affiliate commissions by the side. Ruth’s keeps taking her freelance writing services to new levels by the day. And because she’s now a contributing author to the world’s biggest and most valuable blog, HuffingtonPost.com, her writing is now read by millions every week. Presently, her blog generates about $350 monthly in cumulative earnings. As her own way of giving back to the society, Ruth founded the VIP Blog Writers Hub on Facebook, where she helps bloggers write to become highly visible brands and get paid too. This blog covers a wide range of topics targeted strictly at Nigerians. Originally created as a review site by my good friend and freelance writing mentor, Adeniyi Adesanya in 2013, the site was switched to a WordPress blog in line with my recommendation, and it now features tutorial and product review posts. Through SEO, the site presently generates about 5,000 daily visits and earns around $350 monthly through Google Adsense. I must admit that Naijaquest.com has been in existence before the owner, Mr. Olawale Salaudeen, stumbled on this blog. But after reading my blog extensively and holding a physical meeting with me, he was able to learn the various SEO strategies he used to turn the blog’s fortunes around. Naijaquest.com, which also covers a wide range of topics targeted strictly at Nigerians, presently attracts 7,000 daily visits and earns around $450 monthly through Google Adsense. As its name implies, this blog focuses on fashion tips, latest fashion trends/styles, and everything related. And it’s targeted at a Nigerian audience. The site was created in February 2015 by Mrs. Modupe Wahab, a Lagos-based civil servant. An ardent reader of WIP, she was one of the first people to hire me for blog setup and keyword generation. And she diligently implemented all she learned on the blog — though she creatively broke a few rules (I won’t go into details here). A few months back, Modupe told me her blog was already generating about 13,000 visits per day. Then I told her it’s already ripe for monetization, and we both agreed on Google Adsense to start with. She recently got her Adsense account and she now earns around $10 per day (which would sum up to at least $250 monthly). Just so you know, SEO is her major traffic strategy. I know of few other blogs created by WIP readers that are very likely to start making money soon. But I’ll wait until they really start earning before I add them to this list. So, this post will be updated from time to time. 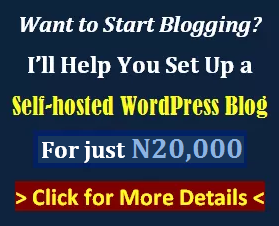 If you think this blog has inspired you to create a blog and you’re already making money from that blog, feel free to tell me about your success. And I’ll readily and proudly add your blog to this list. I didn’t craft this post just to brag about my successes. I actually want you to learn three very important lessons. 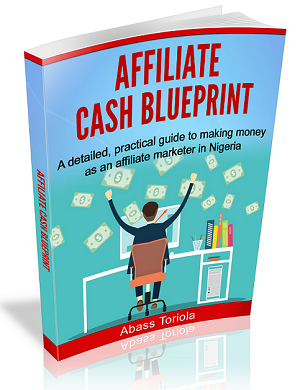 I understand that there are many people out there who are bragging about making money online when in reality they don’t earn a kobo. 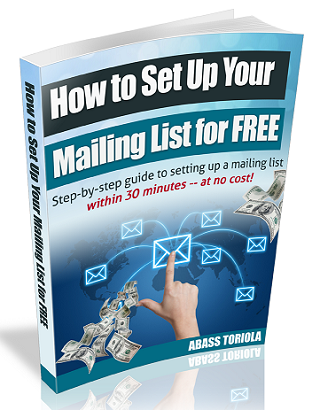 But the truth is that online business is real, and the blogs I’ve featured in this list are more than enough proof. And to further prove that online business strategies aren’t flukes and are actually scalable and repeatable, Ife created two sites using the same strategy and achieved the same result. Well, this might be the most depressing part of this post. But I must tell you the truth. It’s good to be motivated by other people’s successes, but it’s also important to know the challenges they battled with before achieving those successes — so you’ll know the harsh realities to prepare for. Except for Ruth who makes her money from freelancing, none of the others I featured here made a dime online within less than one year. It took Ife over one year of consistent hard work to build each of the two blogs to the point of success. And the same runs true for the owners of Naijaquest.com, Reviewcious.com, and Nigeriafashiontrends.com. 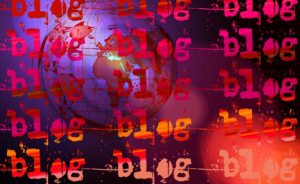 And if you visit the blogs, you’ll see that they all feature unique, detailed, and valuable posts that people and search engines love. They don’t do copy-and-paste blogging and they don’t publish 100-word posts like most other lazy asses out there. No one has the monopoly of knowledge. While it’s through that the owners of these blogs might have learned one strategy or the other from me, the fact that they’ve gotten good results from those strategies makes them experts at those strategies, too — especially since each person had different experiences and challenges while implementing the strategies. So, if you’re looking for experts in SEO, you won’t go wrong with Ife, Adeniyi, or Olawale. In fact, Ife has the added expertise in selling websites on Flippa. If you’re looking for someone to teach you how to become a successful blogger while still keeping a day job, Modupe would be the right person to reach. And if you’re looking for someone who has mastered the art of managing an online business along with being a wife and mother, Ruth is your go-to person. I hope you’re motivated and duly convinced by this post. Now, if you have any questions, contributions, or objections, share those thoughts by leaving a comment.